APA-Ouagadougou (Burkina Faso) By Alban Kini — German Chancellor Angela Merkel will pay a working visit to Ouagadougou on May 1 and 2, the Nurkina Faso Presidency announced on Tuesday. The incumbent All People’s Congress (APC) party of Sierra Leone has accused the country’s former colonial power, Britain, of leading an international conspiracy to effect regime change through flawed elections. A spokesman for APC claimed on Tuesday that the UK High Commissioner in Freetown was leading the conspiracy which includes rigging the March 31 presidential election run-off in cahoots with the National Electoral Commission (NEC). Cornelius Deveaux, Deputy Information Minister, told state broadcaster SLBC that the conspiracy also involved the African Union, the West African sub regional bloc Ecowas and the Commonwealth, among others. Deveaux, who is the spokesman of the current government said former Ghanaian President John Mahama was implementing the conspiracy. Mr Mahama is the heads of the Commonwealth Elections Observation to Sierra Leone's election. “There is an international conspiracy to steal our victory. It is led by British High Commissioner, Guy Warrington, and implemented by former Ghanaian President John Mahama,” Deveaux said on SLBC radio. He said they have evidence suggesting that a brother of President Mahama was bankrolling the campaign of the Sierra Leonean opposition candidate, Julius Maada Bio. 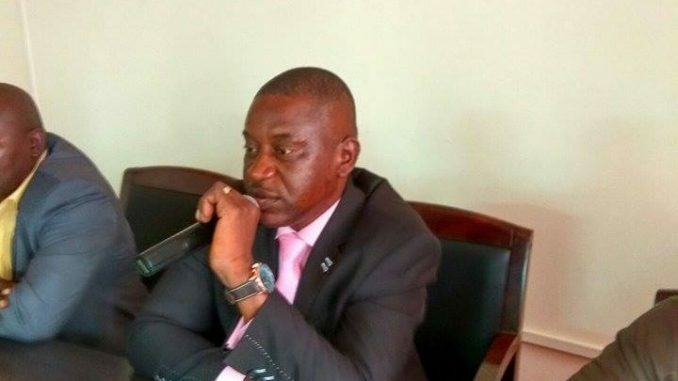 The allegations come as the country anxiously awaits the results of the presidential run-off election in which SLPP's Bio is being challenged by Dr Samura Kamara of the APC. Both the APC and SLPP have already claimed victory, even without the NEC releasing any results. On Monday the SLPP held a press conference where it presented the outcome of its own tally indicating a 2 percent victory margin for its candidate. Amidst the anxious wait, tension continues to rise, fueled by conspiracy theories of ballot stuffing.